The Air Cargo Club Germany (ACD) predicts the current boom in pharma logistics to continue unabated. However, in a symposium held in Frankfurt last week, attended by 75 industrial experts, the organization criticized that the ground infrastructure at many airports across the globe still does not comply with the specific requirements demanded to properly handle this sensitive commodity. For Christopher Stoller, a much better interchange of ideas between all players involved in the pharma supply chain, including the producers, is of paramount importance. Only then, higher transparency of processes and a much closer partnership between the parties involved will be achieved, stated the ACD President in his introductory remarks. The catch to this matter: The need for more supply chain transparency and state-of-the-art cool facilities ups the cost pressures on airlines, handlers and airports. But expenditures are vital for them all to prevent that their mutual pharma journey does not end up in a dead-end street. By 2022, experts predict that the international pharmaceutical market will grow by an average of 6.3 percent every single year which puts enormous pressure on the logistics players to cope with the increasing demands on transport, storage, distribution and packaging of these goods that are highly temperature sensitive and require an uninterrupted cool chain from door to door. "This requires well-trained people who know exactly how to handle the different pharma shipments, data exchange between all actors involved, including customs offices, compatible IT systems used by all parties involved, and tailored transports according to shipper’s and forwarder’s specific demands. Actually, all this should have been common standard meanwhile in view of the value and importance of this special product range and the enormous significance for producers, consumers and logistics players alike, “but unfortunately this much wanted situation is still not always given,” regretted Martin Gouda, partner of the Dutch consulting firm Buck Consultants at the ACD meet. Therefore, the fine-tuning of logistics processes together with an increased operational efficiency at the interfaces is key for reaching the next level in pharma logistics. This is the vision. In reality however the picture is somewhat different: This was exemplified by some of the panelists at the ACD symposium. The number of mishaps and errors is still way too high, insufficient infrastructure or poor training of ground personnel leads to annual damages which surpass the billion euros mark. These insufficiencies do not just happen in countries with poor infrastructure but also in highly industrialized states. Exemplified by a multi-million euros shipment of serum flown from Scandinavia to a U.S. airport in the Great Lakes region from where it was supposed to be commuted to its final destination in the mid-West. Instead, the ground personnel, distracted by a shift change, didn’t pay attention to the consignment and left it standing at a corner of the apron, where it was exposed to a baking sun over several hours. So the end of the story is that the goods became overheated and had to be disposed off as hazardous waste, which added to the overall costs. Fact is that many processes still lack standardization, tracking and monitoring tools are still improvable and interfaces are still the biggest stumbling block. “There are still quite a number of routes where airports are technically still underserved, not offering efficient solutions for temp critical goods. Given those cases, active cooling containers are the only solution safeguarding the content of the packages from beginning to end," emphasized Andreas Seitz, Managing Director of DoKaSch Temperature Solutions. Currently, his company offers the market 400 temperature controlled containers, named ‘Opticoolers’ for trip rentals. “In the course of 2018, we intend to add 200 newly built actively cooled containers to our existing fleet of cool boxes,” Mr Seitz told CargoForwarder Global. The ACD symposium acclaimed the IATA CEIV-Pharma certification initiative to build a global platform for pharma logistics throughout the supply chain and up the knowledge of the personnel involved. "Most problems happen at aprons or within warehouses, those are the weak spots in the pharma supply chain,” said Beverly Seebach, Cargo Manager Europe at IATA. 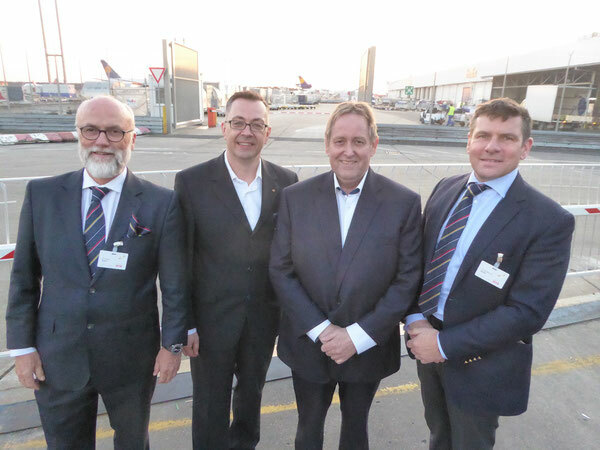 At the ACD meeting, experts confirmed that Frankfurt Airport, Europe's largest air hub for pharmaceutical transports, is well positioned for further growth. "FRA is meanwhile the number one pharma hub in Europe," stated Joachim von Winning, Executive Director of the Air Cargo Community Frankfurt. More than 100,000 tons of pharmaceutical products are handled there each year, and the number is rising. FRA’s Perishable Center at the airport’s Cargo City South offers 9,000 square meters of space. Unfortunately, such a modern infrastructure for temperature-sensitive pharmaceutical products is still not standard internationally. Additional capacity is available in the northern part of the airport, where Lufthansa Cargo runs a Cool Center comprising 7,800 square meters, with large parts dedicated for pharmaceutical shipments. According to LHC manager Joerg Bodenroeder, Senior Director Handling Specials, pharma shipments account for an average of 5 to 8 percent of all goods flown by his airline. “This applies to the weight, while revenue contributions by pharma are substantially higher,” Herr Bodenroeder said. According to him, the importance of this commodity for his carrier has steadily increased during the last couple of years. Shown by the first Cool Center built in 2012, offering 4,500 square meters of storage space segmented in different temperature zones. And reinforced by the new facility of 3,300 square meters which is operational since March 1, this year. 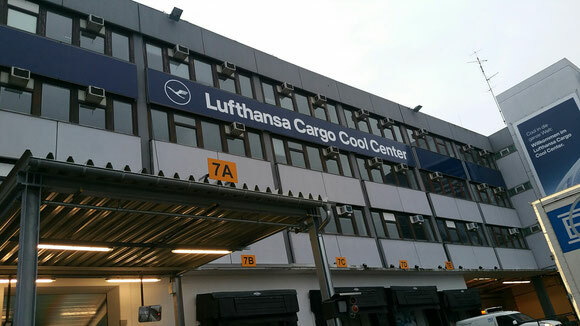 The manager said that nearly 80 percent of all pharma shipments handled by LH Cargo in FRA are transits, while exports account for 15 percent and imports make up the difference.